We are a fresh and dynamic company that offers a unique, creative, and structured approach to branding and corporate communications. We provide powerful design, strategic brand management and advice on creative corporate communications founded on knowing your company from the inside out. 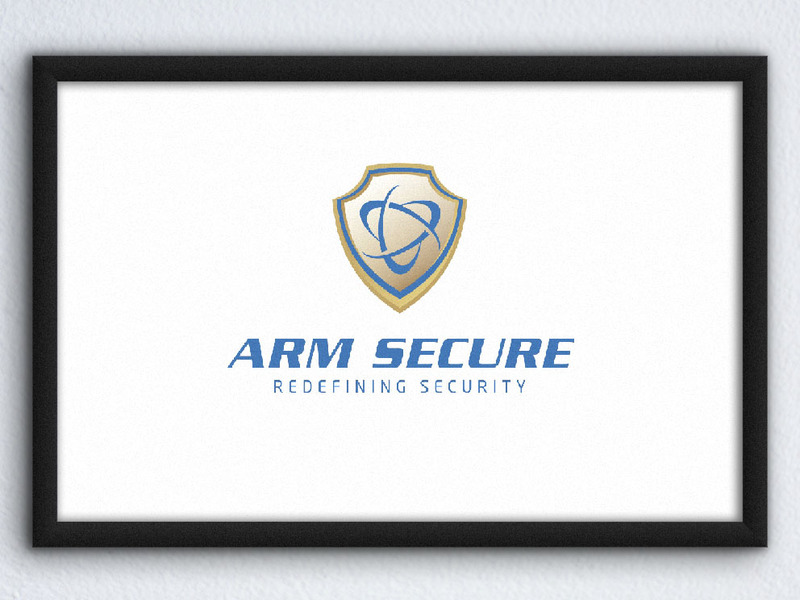 Arm Secure were in a growth period and needed a clean, simple company profile and simple sales brochure to hand out to prospective clients showing off their services and products. We created a gallery of photographs depicting their guards at various locations, and used them to create a clean and modern company profile that reflected their business goals and objectives. 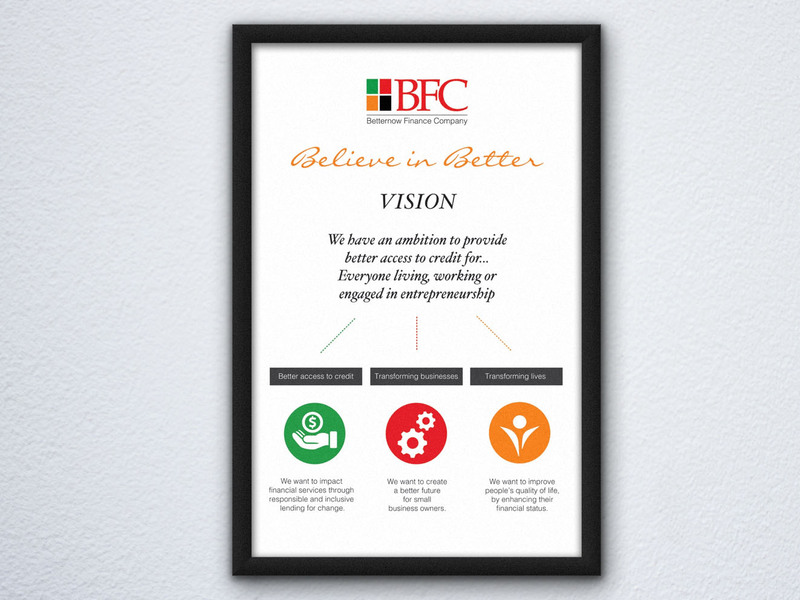 We worked to strengthen the BFC brand in a time of growth and transition, with more streamlined and consistent communications. The aim was to bring more personality to the brand and engage stakeholders. 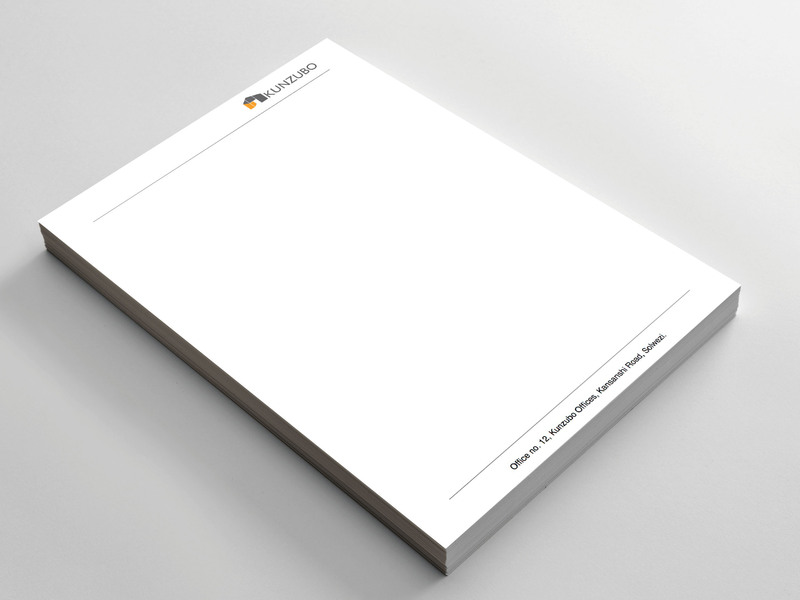 Our work included: brand and design manual, corporate identity and communication templates. 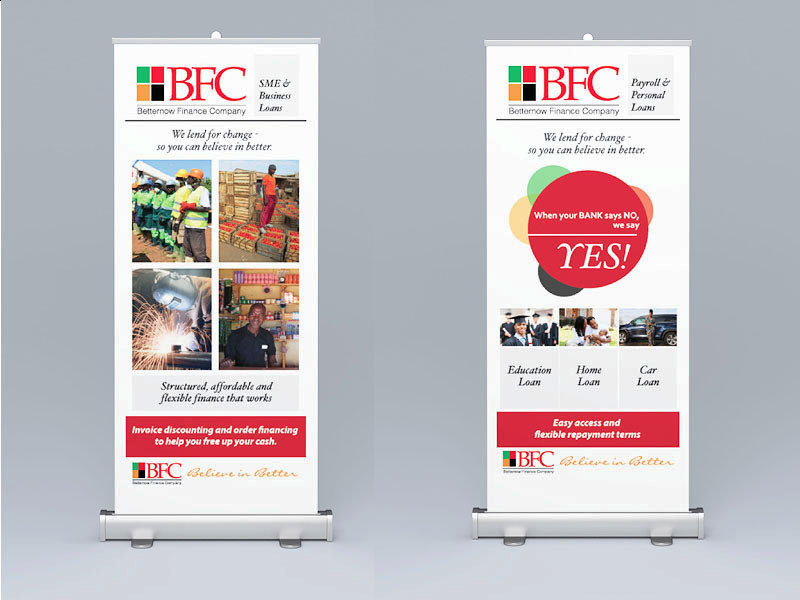 BFC needed roll-ups for a series of local expositions. Keeping in line with the new brand strategy, the roll-ups put the customer in focus and keeps a bright and cheerful appearance. The website was redesigned for better user experience. It needed to be friendly and customer centred. The website has a clean look and feel, with touches of the BFC colours and original photography. Agova, previously BDSA, needed a new name, logo and a stronger corporate identity. They came to us for help to guide them through this process. A full day workshop with the Agova management team helped bring out the essence of the brand and translate that into brand and communication tactics. Vincent Frank subsequently worked on their new name, logo and brand colours. The name Agova means to share in Shona, the most widely spoken Bantu language. It was chosen to represent the “shared value” that the company is trying to create for their clients and have a local meaning, while sounding global. We created a clean, fresh, fun packaging design for Bumi that would appeal to a broad spectrum of women and girls in Zambia. A new women’s sanitary product company needed a name, logo, packaging and branding to reflect the humanitarian and business goals behind the concept. Through a series of workshops and roundtable discussions, we were able to create a fitting name and develop a logo. The name Bumi means “life” in one of the local languages. The logo reflects freshness, lightness and freedom through the use of a stylised butterfly, and the colours used were slightly muted versions of sweet smelling flowers. 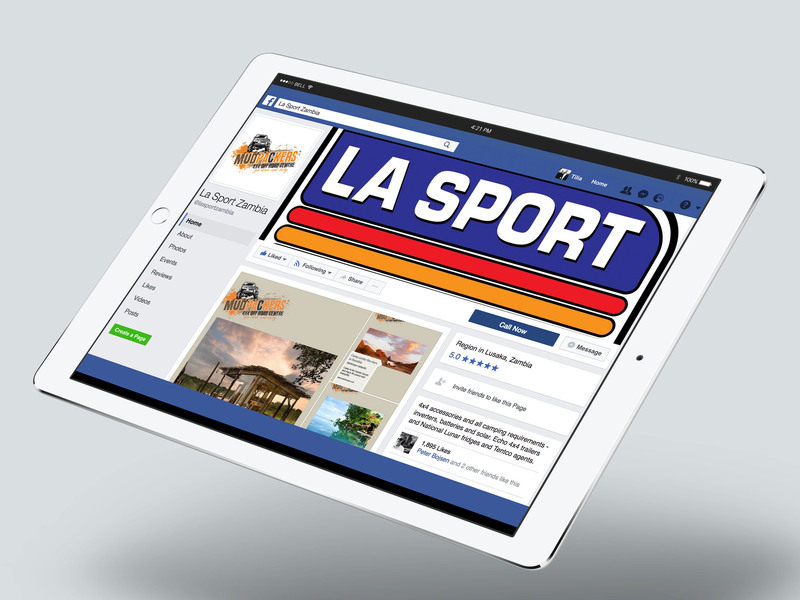 We developed a social media strategy and plan for a young, vibrant and growing digital print company in Zambia. 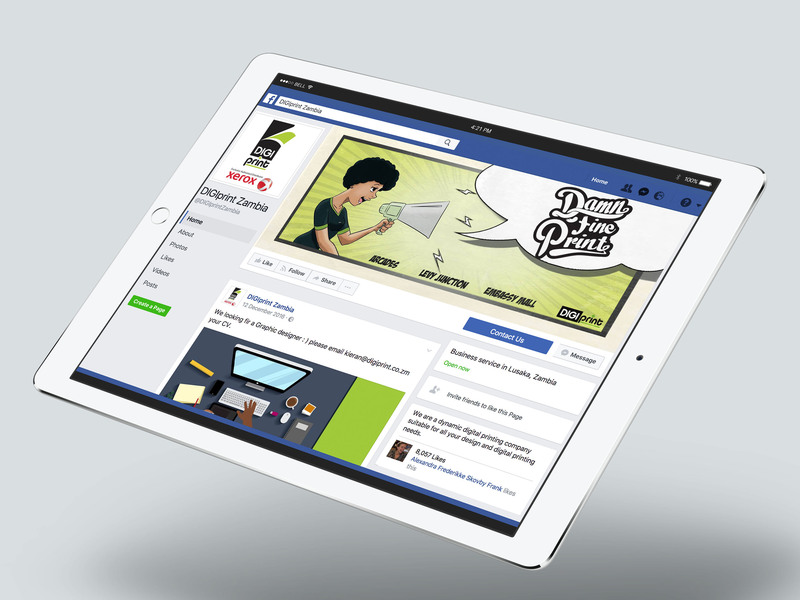 The channels focus on providing educational and inspirational bite-sized information to help followers improve their work. The stationery, which included business cards and signage, was kept sleek and simple, with an emphasis on solidity and strength. The logo we developed reflects the efficiency, speed and accuracy of the company’s methodology in metal fabrication. The palette was chosen to reflect the earthy metallic colours of North-Western Province such as copper, steel and aluminium. 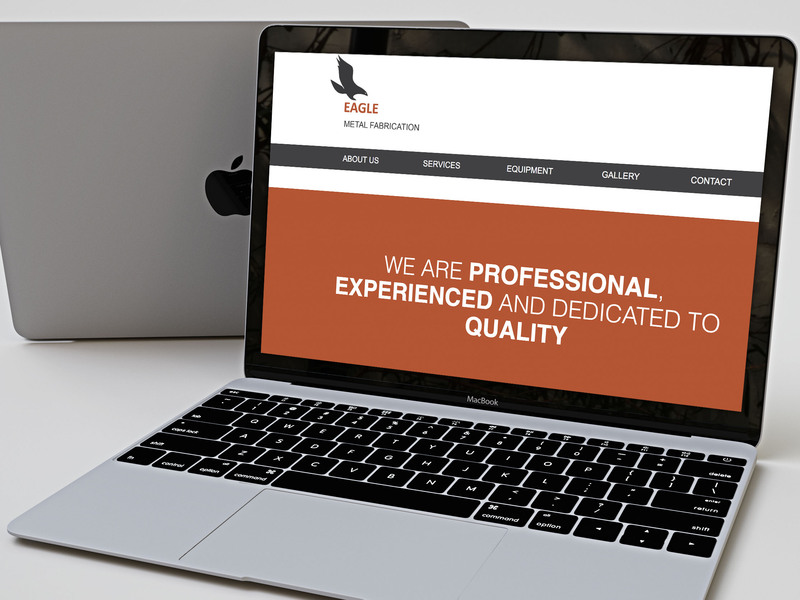 Eagle Metal, a metal workshop based in Solwezi, needed a no nonsense website that displayed their services, was simple in style and most importantly, easy to load on mobile devices with bad connections. We eliminated images from most pages and focused on simple graphics and typography with dominant splashes of the year brand colours. 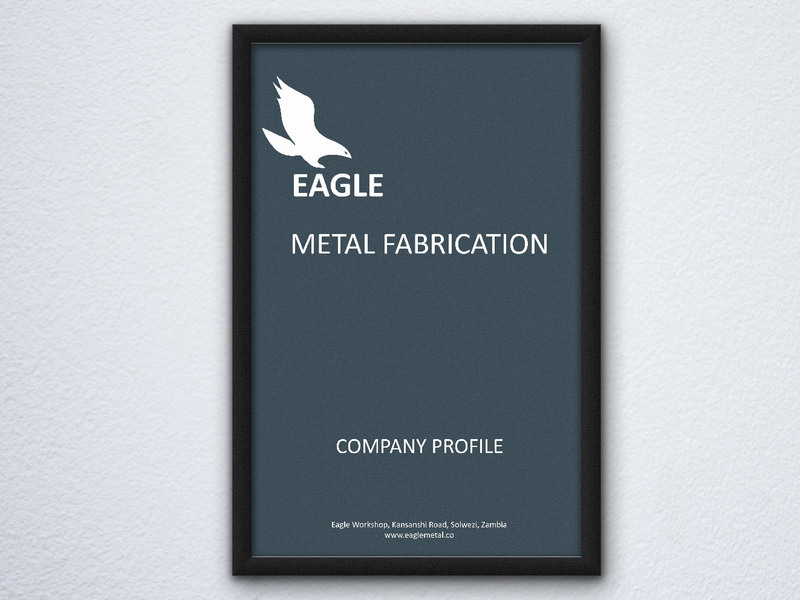 The aim with the company profile for Eagle Metal, was to keep it in line with their website style. Appealing to their industry of metal fabrication, we kept the design masculine, simplistic and raw and the information very concise and to the point. Go-Go Fitness Zambia is a growing fitness company in Lusaka. 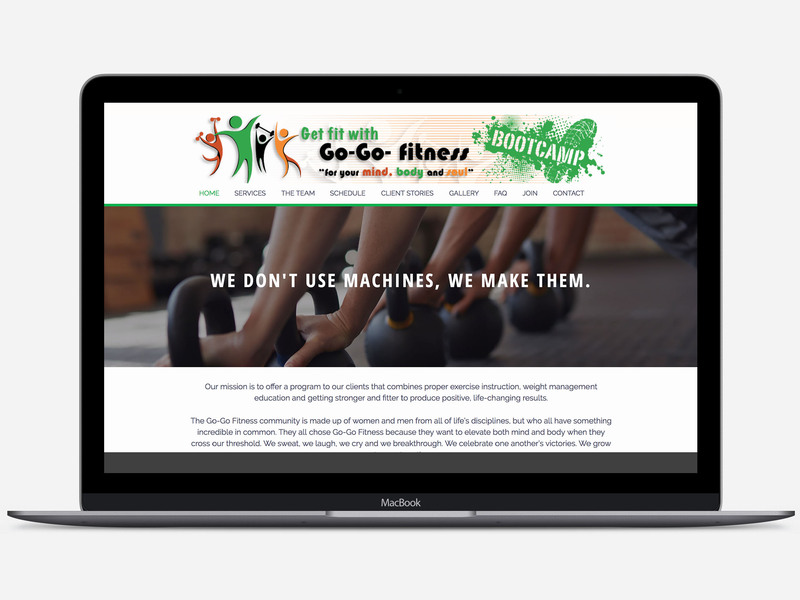 They had just opened a brand new wellness centre and needed a new website to demonstrate the changes and scope of the centre. We created a clean, easy-to-navigate site that makes joining classes easy, and provides users with all the information they need. We developed a professional looking website that explained the nature of the business up front. The design exhibits a clean graphic style, while adhering to group level brand guidelines. All copy was boiled down to reflect the straightforward personality of the company. 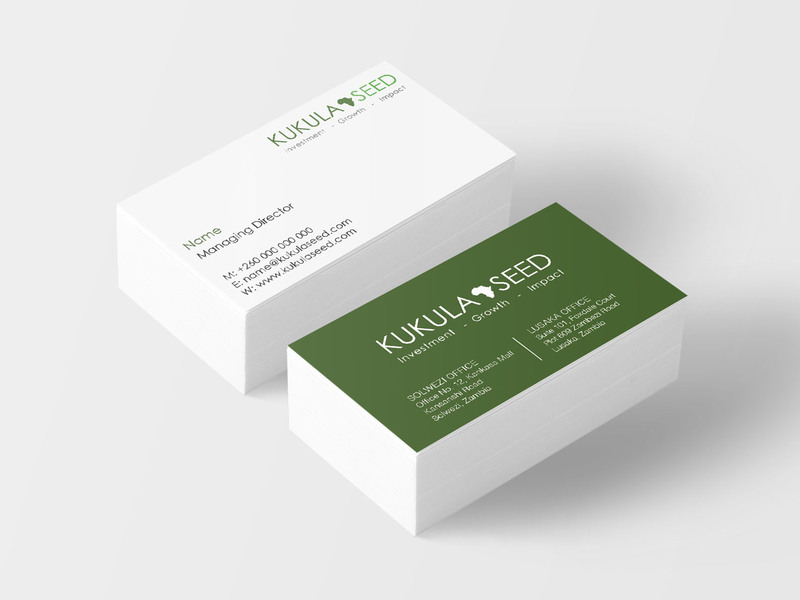 We created templates for Kukula Seed’s stationery so that it was uniform and keeping within their brand guidelines. PowerPoint templates were given a major overhaul to better reflect the brand identity while making it easy for all employees to present information in an easy to digest way and with uniformity. 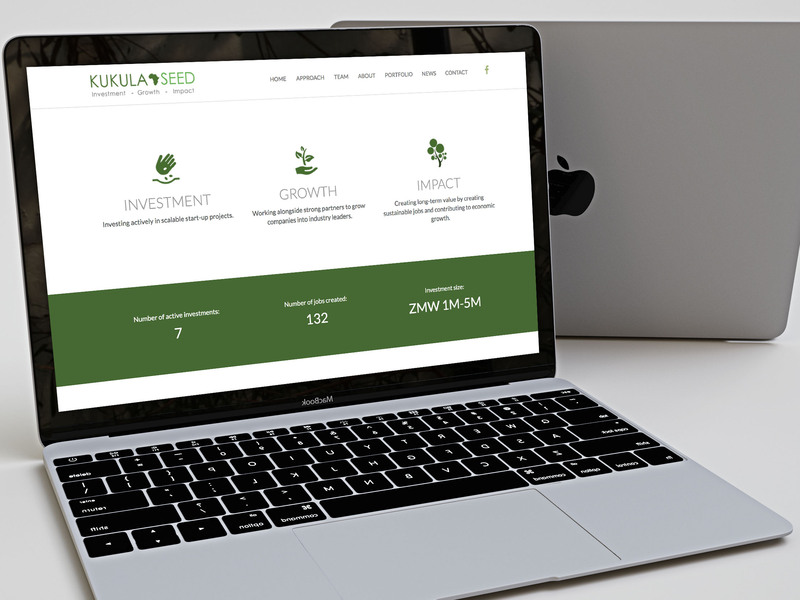 Kukula Seed was in a growth phase and needed to solidify their identity and culture as well as articulate their brand. In close collaboration with the management team we created a corporate identity, brand guidelines, and communication templates. 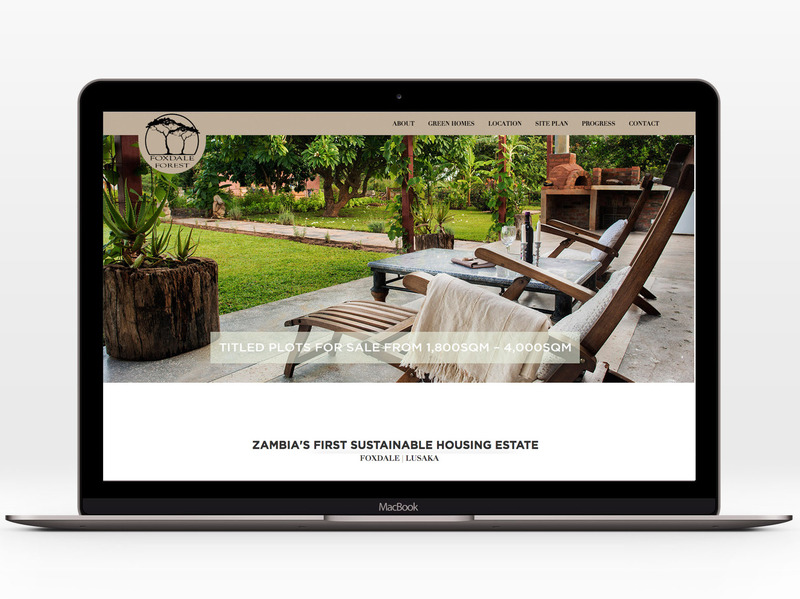 Kunzubo’s website needed to showcase 3 diverse projects and appeal to consumers. The design is modern, fresh and simple – just like the design of their projects. Website visitors can easily navigate to their area of interest and get an overview of services offered. Kunzubo is a development project in Solwezi. During a period of fast growth, they needed to develop a logo and brand that reflected the 3 aspects of their business – offices, housing and a business park. We came up with a simple, clean logo that depicted each aspect of their business and was easily adaptable to web, print and signage. 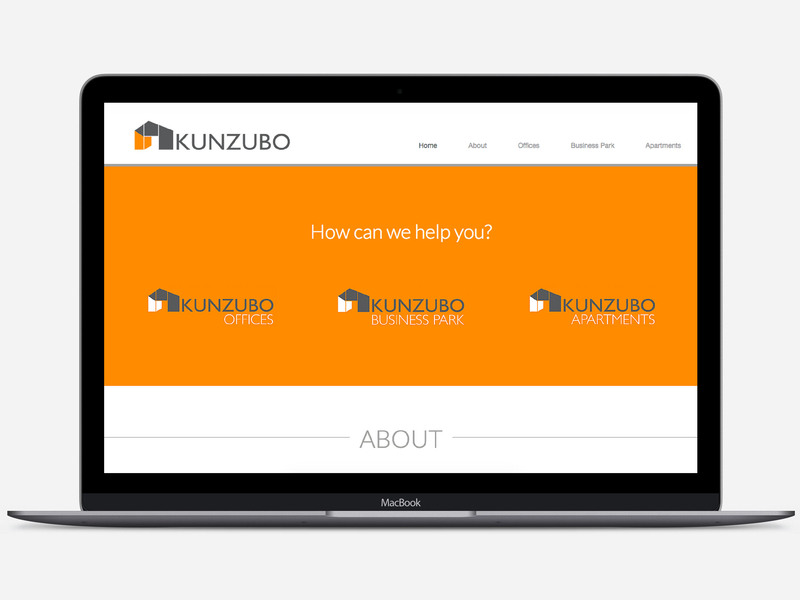 With the new logo, we designed new stationery for Kunzubo in the brand colour palette. 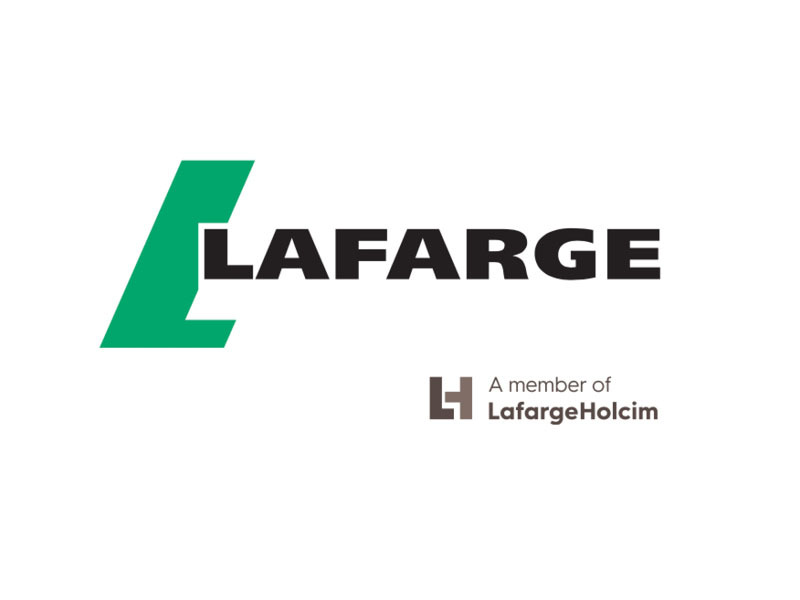 In a period of aggressive promotion and development, Lafarge Zambia needed a quick-fire series of radio ads and concise descriptions of their products for a promotional calendar, which we were able to provide. 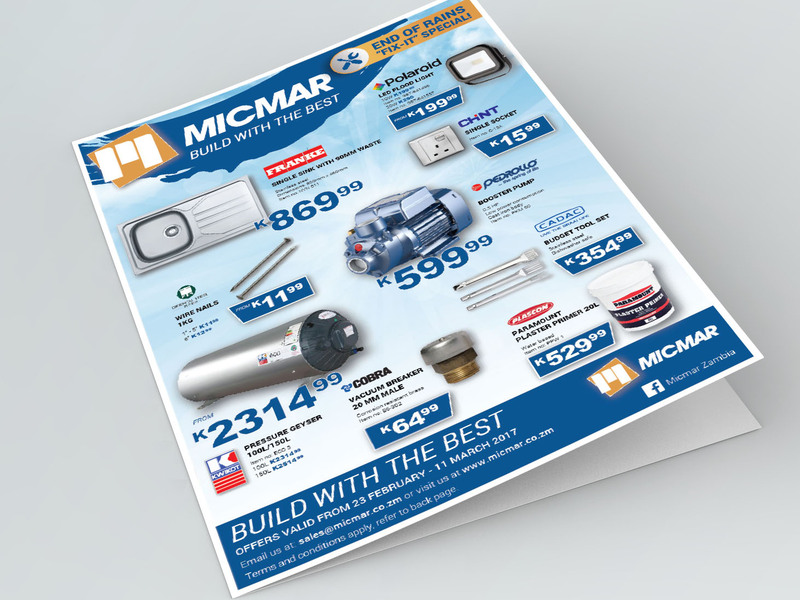 Micmar are constantly updating their billboards and shop-front signs to keep ahead of the game and encourage new customers and keep the old ones interested. We create on-the-pulse, fresh and innovative signage that speaks to a nation of builders and home improvers. 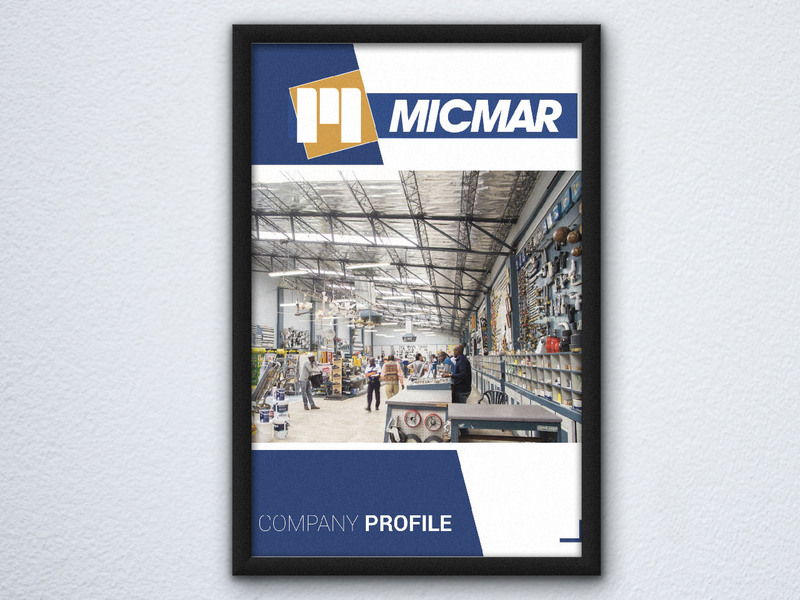 In order to keep their position at the top of the hardware store market, Micmar needed to develop a company profile for the first time in their twenty years of existence. We created a vast gallery of professional photographs, wrote punchy content and came up with a design that reflected their solid position in the market, focussing on their experience, quality and efficiency. With increased competition in the market Micmar needed a renewed and integratedcommunications strategy that considered market trends. Vincent Frank acted as strategic lead on all communications to ensure consistency and effectiveness. Brand identity, guidelines, messaging, were reviewed and updated to ensure that is resonated with stakeholders. 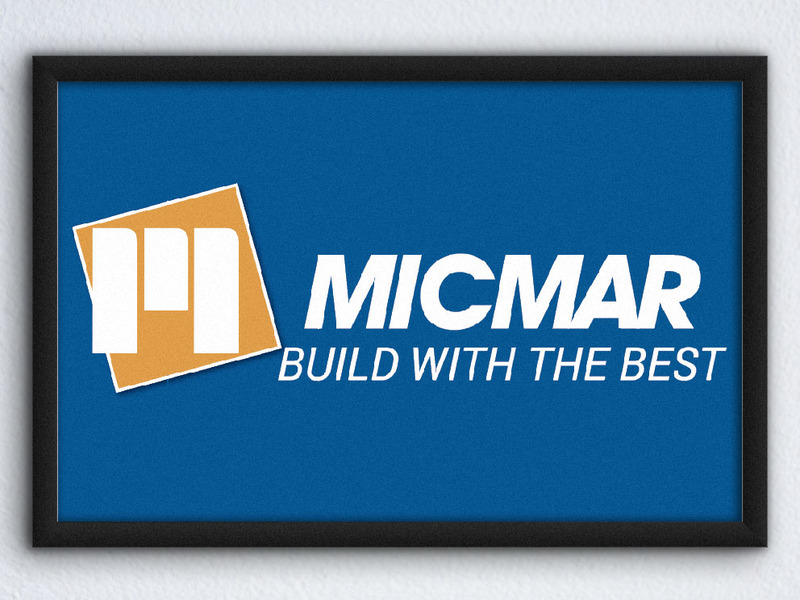 As a local player in the market, Micmar have always strived for a high level of direct and personal customer service. The establishment of social media platforms was therefore a natural move, creating a platform for customer dialogue, promotions, building and decoration tips and inspiration. 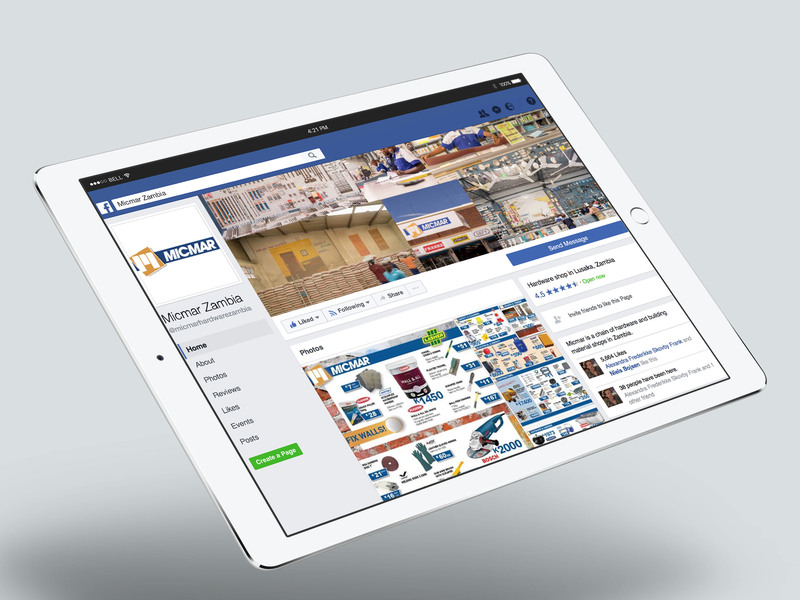 Vincent Frank manages the Micmar Facebook page and the Instagram page – of which the latter is mostly focused on the DIY segment. Vincent Frank is responsible for ensuring that all Micmar advertising is on brand and for creating promotional catalogues, newspaper ads, radio jingles and billboards. We designed the website to be very visual with action photos. The blog was added to inspire visitors with adventure stories, 4×4 information and tips. The annual product and travel catalogue is a central piece in the site. Mudpackers wanted a catalogue of all their products. 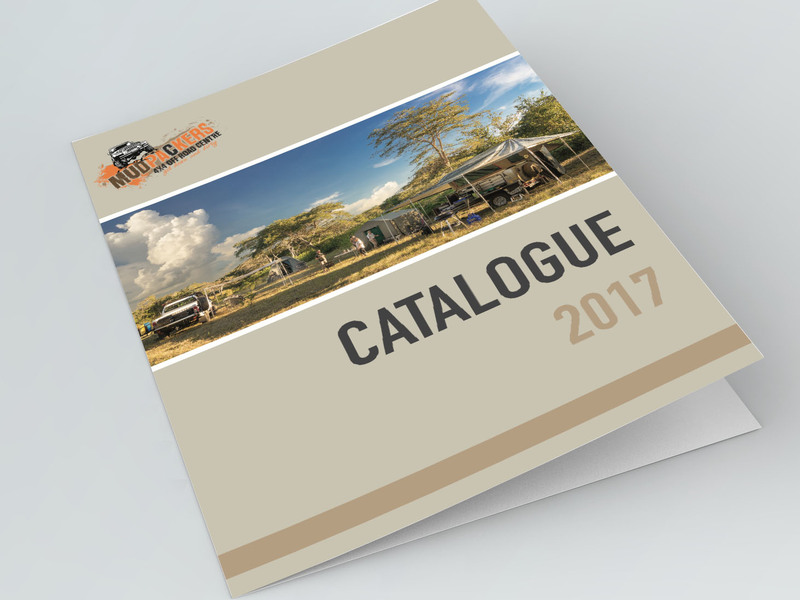 The annual catalogue focuses on Mudpackers’ products used in action and is meant to inspire people to travel more within Zambia. Vincent Frank manages the Mudpackers Facebook page, used as a platform for dialogue with customers and to inspire followers to travel more with a particular focus on 4×4 overlanding and camping. 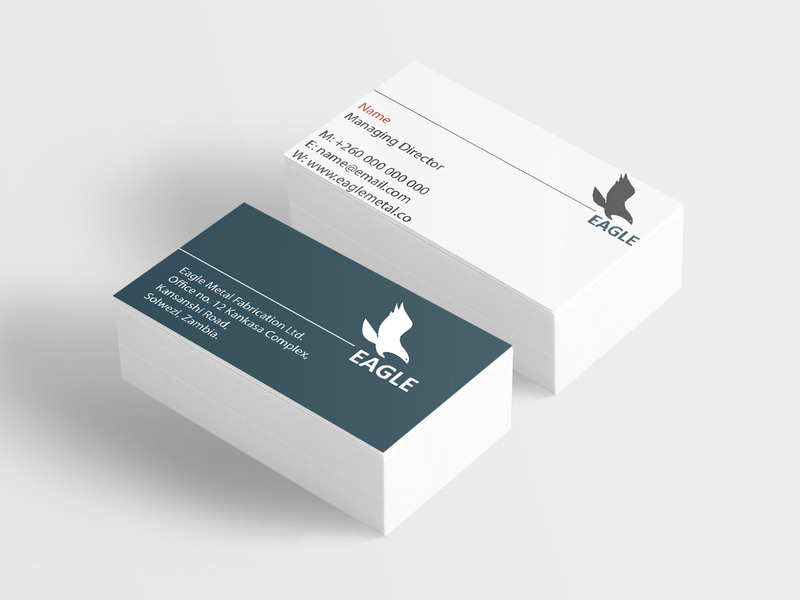 A modern and visual design with creative details to resemble Prosign’s core business. Parallax scrolling adds life and activates the visitor. 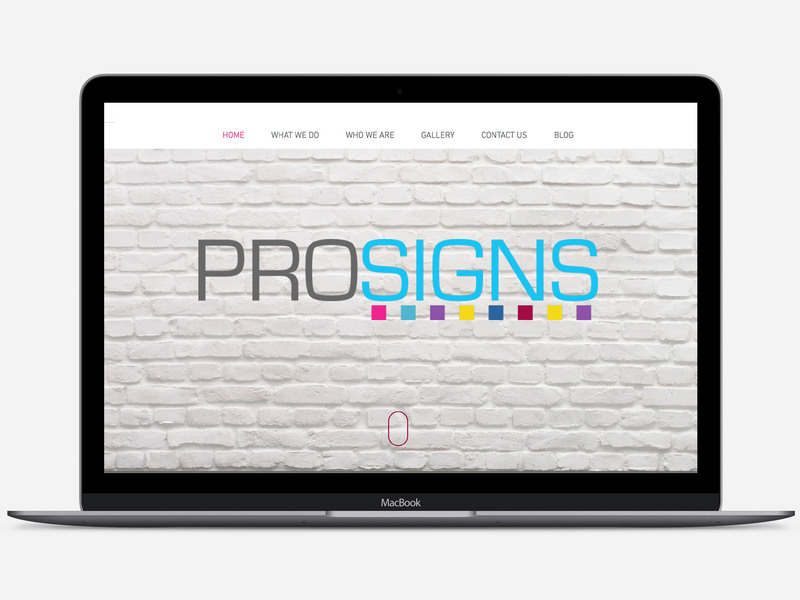 The website is colourful to reflect the Prosigns brand and work. 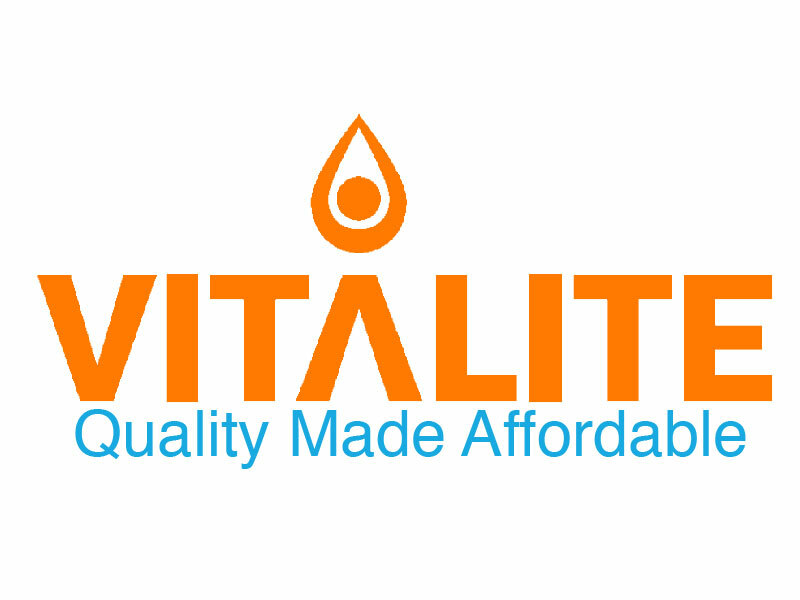 Vincent Frank helped VITALITE refine and articulate their brand identity and communications. 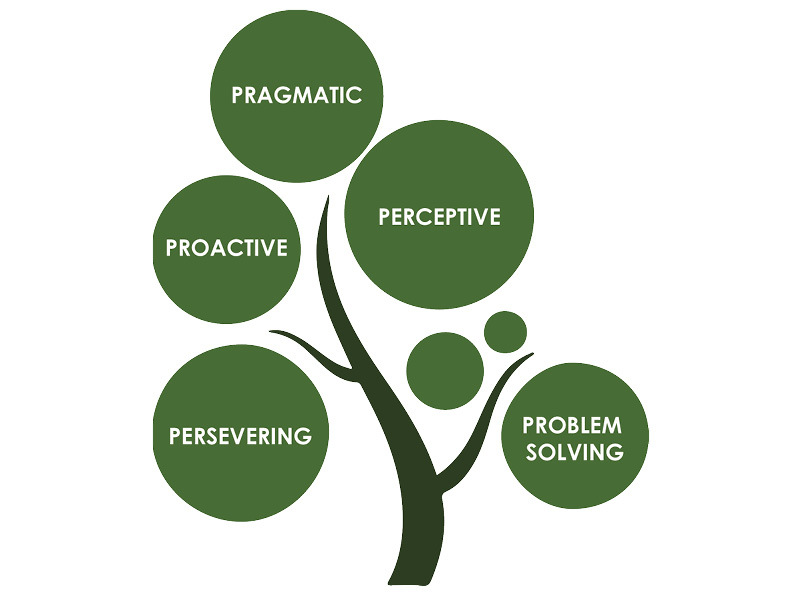 Our work including workshops with senior management, customer focus groups and testing of communication materials. 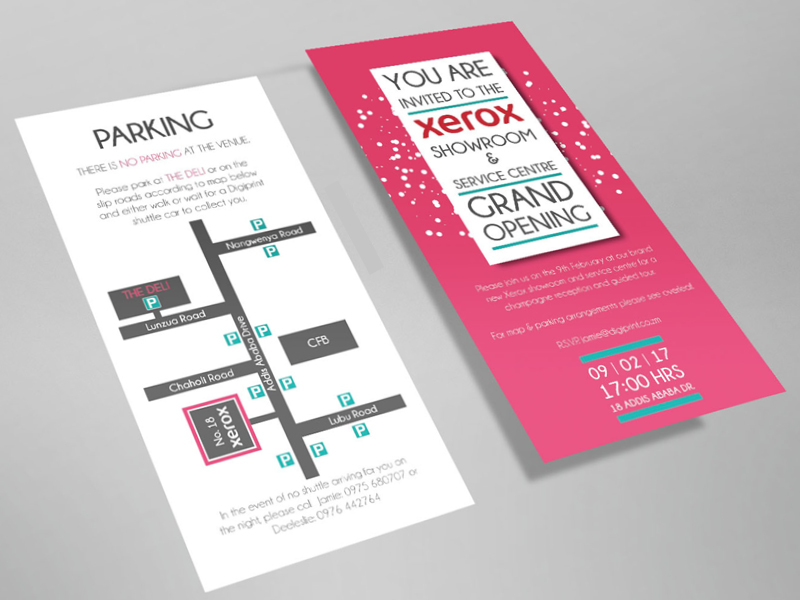 Xerox were opening a new, first-of-its-kind Zambia-based showroom and service centre. We were asked to design 3 wallpapers, vinyls and contravision for the showroom wall, conference room wall and service centre doors and windows. For the conference room we created a fresh, modern typography wall with inspirational quotes and favourite icons, using a palette requested by the owner. For the Xerox Showroom, an innovative and creative timeline was created, showcasing the Xerox brand and interspersing it with other notable events throughout the last century. 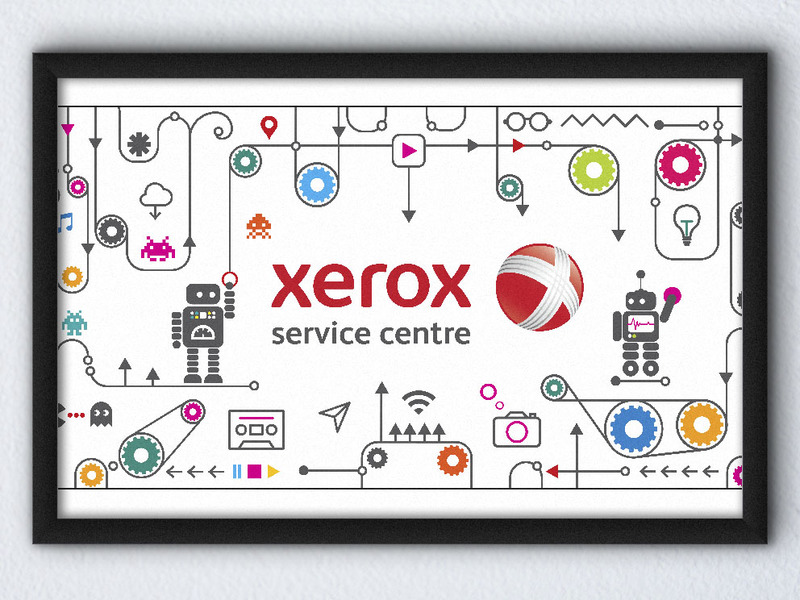 For the Service Centre, a fun design was created to reflect the inner workings of a machine, controlled by robots. We were asked to create invites for the Grand Opening of the centre, and we came up with a fun design to reflect the innovation, creativity and dynamic nature of the new site. Foxdale Forest is a sustainable real estate development firm, offering houses and plots in Lusaka. The website needed to be elegant, yet rustic and natural. A natural colour palette and a slightly varied selection of fonts convey the ambience of the housing estate. The visitor is taken on a virtual tour of the estate through images and descriptions on the website. 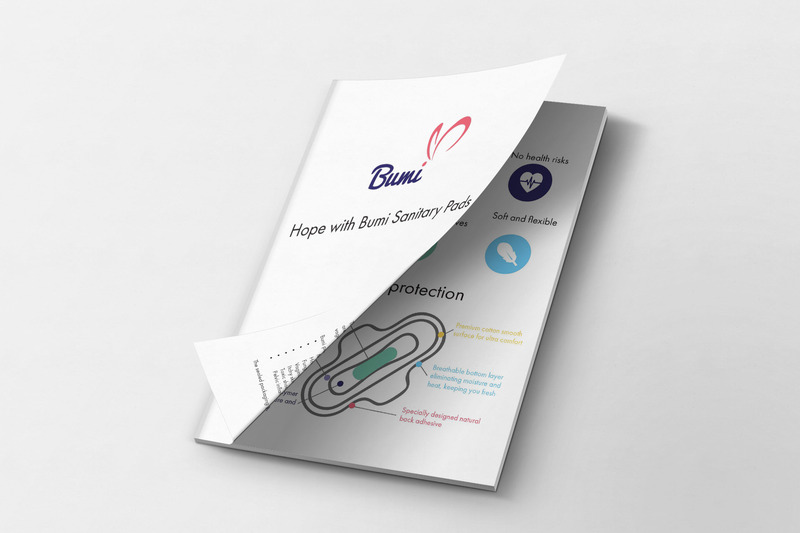 We are working on creating a good portfolio of informational materials that can be used to educate the market on feminine hygiene and the issues related to the lack thereof. The materials cater to a range of stakeholders including local sales agents, end-consumers and institutional stakeholders. To make the materials and the subject engaging, the materials are designed to be very positive, visual and easy to read. 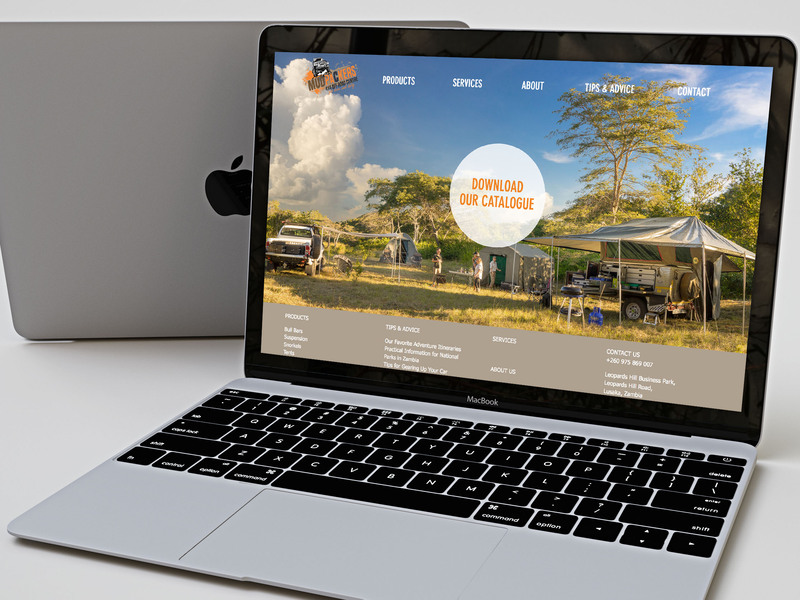 Mapunga Bush Camp needed a website that showed visitors the beauty of their surroundings and made the decision to book at stay at the camp easy. 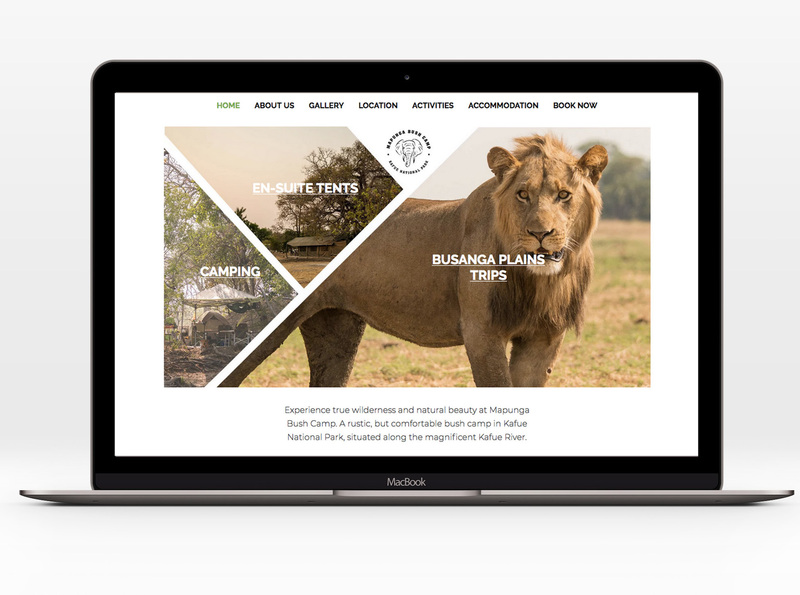 The website was designed with lots of photos of the nature and wildlife and the narrative was created to be as personal as the stay at the camp. Green Dairy needed a logo that signaled the freshness and naturalness of their product and at the same time stood out from competitors’. The logo was designed in a modern silhouette with a few natural items added to signal that the product was fresh milk, straight from the pasturing cow to the shop. It was created in a natural green with a modern hue. 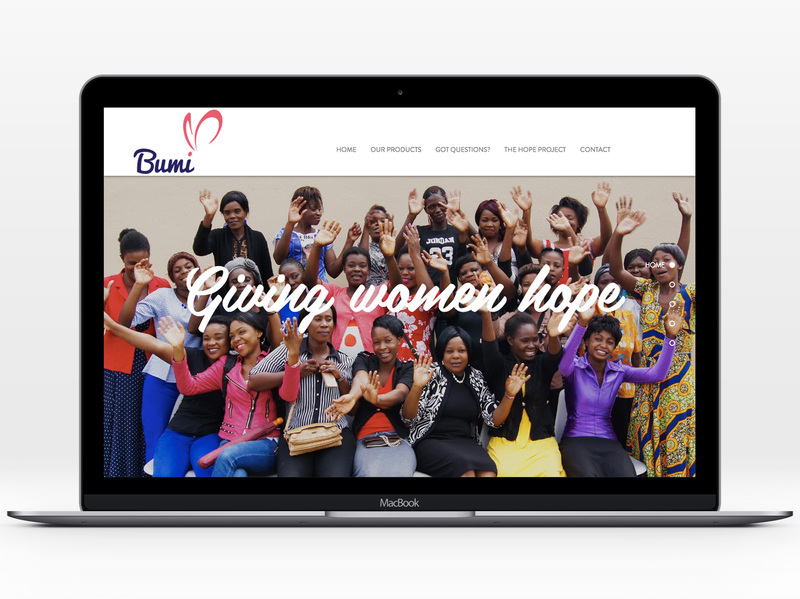 We designed the website for Bumi to not only showcase their products and tell their story, but to be a warm, welcome and empowering space for women to learn about feminine hygiene and the female body. 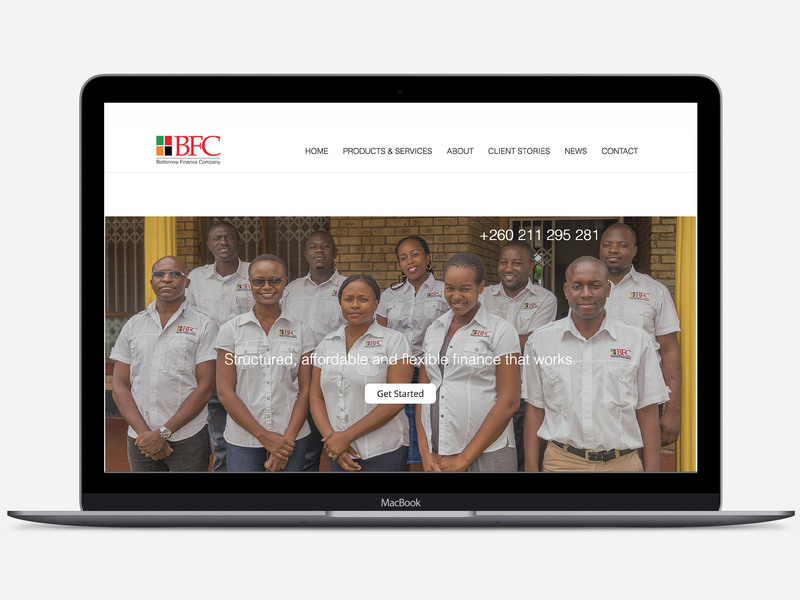 The website layout is a simple one pager with parallax scrolling effects to make the navigation easy and the visitor’s journey beautiful and interesting. In the second stage of the website build we are adding an educational page with resources for schools, women and community groups. Ready to start your next project with us? That's great! Send us an e-mail and we will get back to you as soon as possible!